The E-24 uses 5mm Generation I LED bulbs each with 0.5 Watts totalling 12 Watts of brilliant, dependable light that can last 100,000 hours. The tough, durable aluminum and polycarbonate lens covers can stand up to years of rough daily use without cracking or scratching. 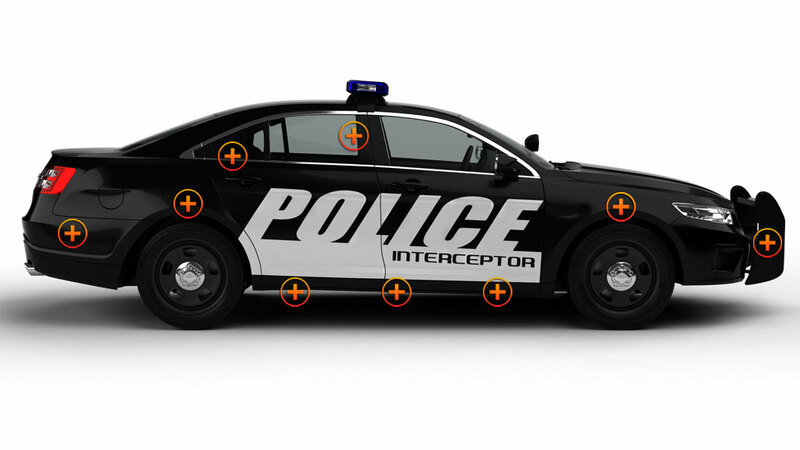 Use just one E-24 or position them in pairs around your vehicle by hardwiring them into a switch box or siren controller. They can also be used with a toggle switch. This emergency light comes with color-coded wires for easy installation, and there’s a complete Installation Guide for surface mount lights on the ETD site under the Install Guide section of Knowledge Base. 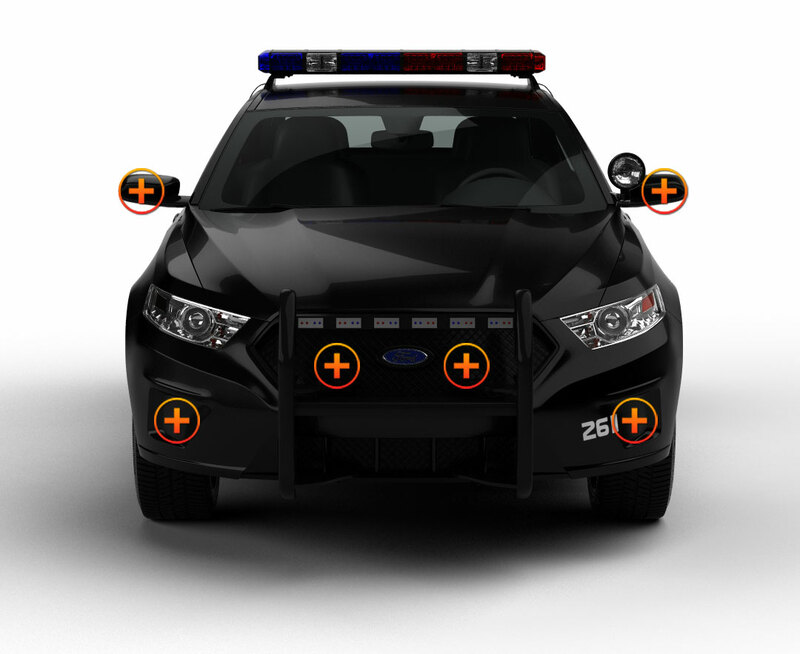 Most customers connect the E-24 into their siren system since most siren systems can power lights. 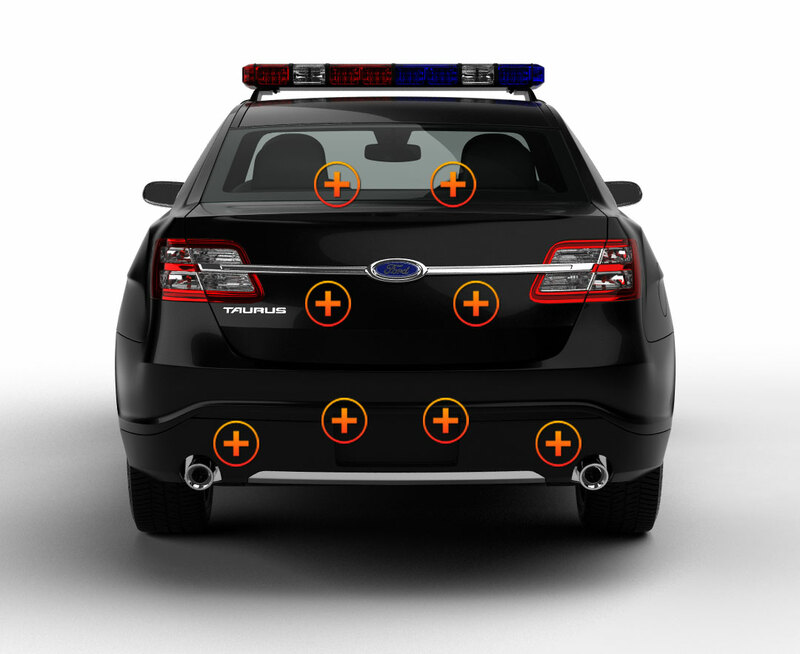 The lights are flush mounted to push bumpers, grilles, or even to the surface of your emergency vehicle by using rubber gaskets that don’t let moisture behind the units. The E-24 comes with 19 flash patterns and pattern memory, and has a choice of 12 solid color and/or split color combinations that assist you in carrying out your designated duty. Whether you’re a professional or a volunteer, you’ll soon be bragging about the E-24 just like so many of our customers do. They call it ‘Awesome!’ because there’s so much light for such a good price! Great Lights very bright and at a great price I put a pair of spilt color ones on my four wheeler very happy with them and will be buying more. I have 6 of these lights on my truck currently. 4 on the grill and 2 on my back bumper. I am impressed that you can see them during the day in daylight. Brighter Than I Expected. I love them. A really good product. Bought these lights, skeptical of how bright they actually would be for $27.50/pc canadian .. got them last night and tested them out ... these are brighter than the whelen on my tow truck. love the auto changing pattern as well. Even the amber is bright, which the last set i bought off ebay the amber was really dim.. these are very bright. i got 2x white and 2x amber/white split. RECOMMEND! A++++++++ will buy again. These lights are great! I've had a set in the grill of my truck for almost 2 years now. I just received my order of 4 more for sides and rear. Brighter than most expensive lights with awesome warning power. Put a set of these in my rear window and these are bright! It will get anyones attention. $22 each? Thats it!? How can you make such a great and bright product so cheap!? Well regardless I recommend to anyone on a budget or just shopping for bright lights. ETD is going to become the new top name brand at this rate. Order these you wont regret it! I have had different sets of grille lights and these by far are the best ones I have ever had. Great product and I will be buying more in the future. I received two of these for free when I placed my last order. I was very surprised after installing them! I highly recommend due to the look after install, level of light output and affordable price. I am a Volunteer Fir Fighter and cost is very important and this light has it all. Four to six more are on my wish list now!! i have 10 of these lights as a light bar in a 09 charger and 4 under the gill these are the best lights ive ever owned they stay synced and have a great flash pattern set up to them highly visible in the day and night i would recommend these to everyone that is putting lights on anything there easy to mount and connecting them. The lights came in the mail today and I hooked them up to a batterey to see what htey look like. All I have to say is WOW!!! These lights are an awesome deal. They are bright and can be synced in all flash modes. The price is great too. I will be ordering more. i got these from a friend and installed them on my 11 charger in the fog light location , i was extremely impressed with their brightness and flash patterns. These little lights are better than what you might expect. 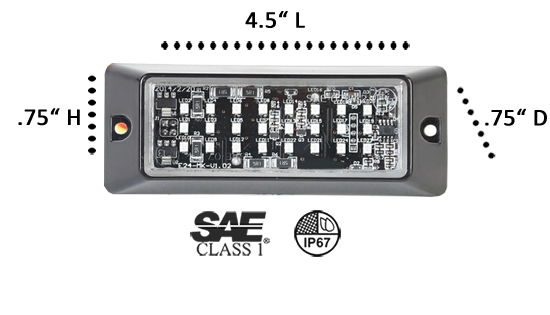 Their dimensions are the same as the Halo LED 6 modules. I ordered these in Red/White, however I was a little disappointed when the flash patterns weren't what I expected for split coloured lightheads, but the cheap price out-weighed that issue. Not an ideal primary warning light but an excellent secondary warning light.. International shipping time was within the specified time, even though it was christmas time. I will post a video to ETD once I have these little suckers wired up. More lights to purchase first. I ordered the amber/white, amber/amber and amber/red in these and am very pleased. Ive place 2 orders and will be placing another for the rest of my fleet. Very fast shipping, just verify they have them in stock before ordering. Very good quality and very reasonably priced. Hands down to a great company, Thanks!!! Oh these lights are awesome. very bright for it size, gonna be ordering more for my trucks. Best price on market, and the leds are not the cheap rounded kind. I would highly reccomment these to anyone looking for a compact inexpensive light with great quality.